West Bromwich’s Tom Stokes wants to come flying out of the blocks when he returns to action in an eight-rounder on Thursday night. Stokes is determined to bounce back when takes on former Southern area titleist Nicky Jenman in Birmingham. The two top the bill at the Holiday Inn Queensway in Birmingham, on a show staged by Errol Johnson’s BCB Promotions. The card is titled ‘The Fight Before Christmas and is sponsored by Grosvenor Casino Birmingham Hill Street. Both are determined to get back into the title chase, Stokes after coming up short to Tyler Denny on points for the Midlands middleweight title in September. Southpaw Jenman, from Brighton, lost his area strap to Grant Dennis last December but has won two bouts since. The 31-year-old has a chequered record of 18 wins, with two TKOs. The nine losses on his ledger, five of them by stoppage, mostly came early on in his seven-year career. Defeat to Dennis was his first in a paid ring since August 2014, where he went down in two to now British champion Tommy Langford. He also drew with Festim Lama earlier that year. Stokes, who turned 23 earlier this month, is almost nine years his opponent’s junior and had racked up nine wins from nine outings, with one TKO, before facing Denny. Taking on Jenman might help Stokes succeed where he failed against Denny, who used his southpaw skills to full advantage. He’d take a rematch against Denny, but concedes his nemesis is likely to chase more titles. Should he vacate, another left-hander in Ryan Aston could also come into the equation. “I’ve trained hard for this fight and I’m really looking forward to it,” Stokes told bcb-promotions.com. “I want a solid performance and a good win, after last time. “I can’t look back now, but I know I didn’t turn up against Tyler. I can box so much better than that. He was a tricky southpaw and I knew what’s like to go up against now. “Maybe I didn’t get as much southpaw sparring as I should have, but you can’t get much better experience than 10 rounds of a proper fight. “I’d know how to handle Tyler if he came about again, but I can understand he wants bigger and better things. I wouldn’t be surprised if he never defended the title. “Ryan is a name that’s been mentioned for quite some time and, if there was a proper title on the line, I’d be up for that, as well. “You never know what can happen in boxing, maybe even an opportunity will come up that Tyler or Ryan don’t take and I do. Anyway you look at it, I’ve got to a level now. “I’d proved I can do a championship distance and I don’t want to go be going back to four or six rounds now. I’m glad this is over eight. 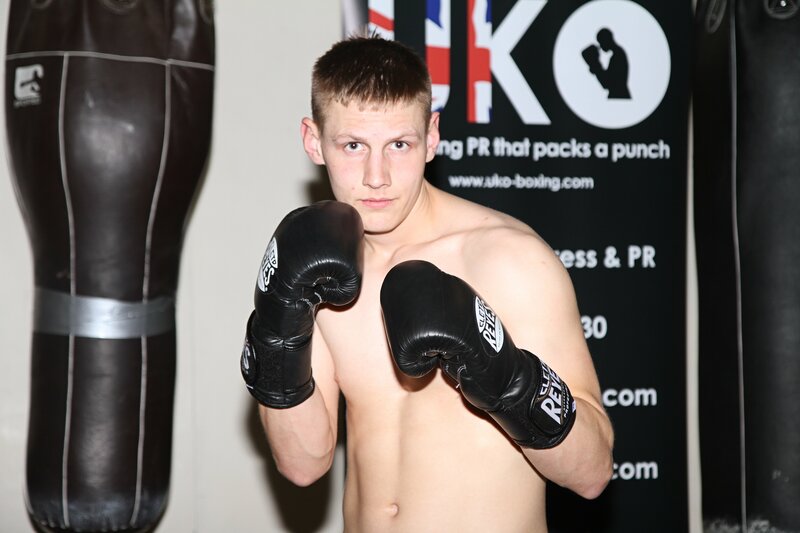 Jordan Clayton, from Solihull, will also be looking to get back to winning ways elsewhere on the card in a six-rounder against Danny Little, after drawing with Nathan Hardy last time out. That super welterweight affair is joined by the late addition of Brummie Kane Baker, a welter from Bartley Green, who competes over four. Tickets for the show are still on sale, by contacting the boxers on Facebook or online at iboxingtickets.com. They are priced at £65, which includes a two-course meal.